ACC: Up to date with all storylines and etc!! ACC: No more weekend lurking! Hooray! IRL issues resolved! P.S. WOW! 209k gold in one satellite quest in romero, its hard but if you focus you can get like 20k exp in 8 mins and 200k gold. Want a challenge? Can you beat 38k EXP in one run? This wasn't even with this week's bonus EXP. I wonder how much you could get in one run with that... a lot, likely. ACC: the highest I got so far yesterday was 30755 exp, I am still working on getting faster. ACC: L50 READY FOR RESET!! 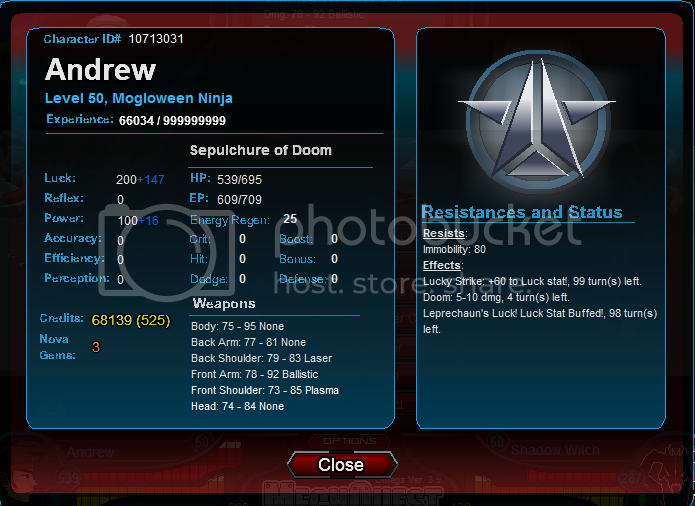 on yea lets crush some Shadow Scythe by helping our allies and regrouping on the main SS force OH YEA!! DIS:It is weak as the Nubertron. ACC:Luckily,I got my backup GEARS Mystraven. DIS:Having a hard time trying to kill Akana. ACC: got my 2ndary character to L22 woot! woot! P.S. it might now seem like much but but I haven't level up my other characters besides my main who is L50 in YEARS!! I think its been atleast 2 years since I level up my secondary character who I am aiming to get to L50 before this war ends wish me luck. ACC: Beat Necryptos XA with ease! Castle went down with EP Drain using Castle's deflect to prevent DoTs from harming me because of my negative HP! ACC:Up to story with primary character. DIS:Made a secondary,having a hard time trying to get a decent mech for a reasonable price. 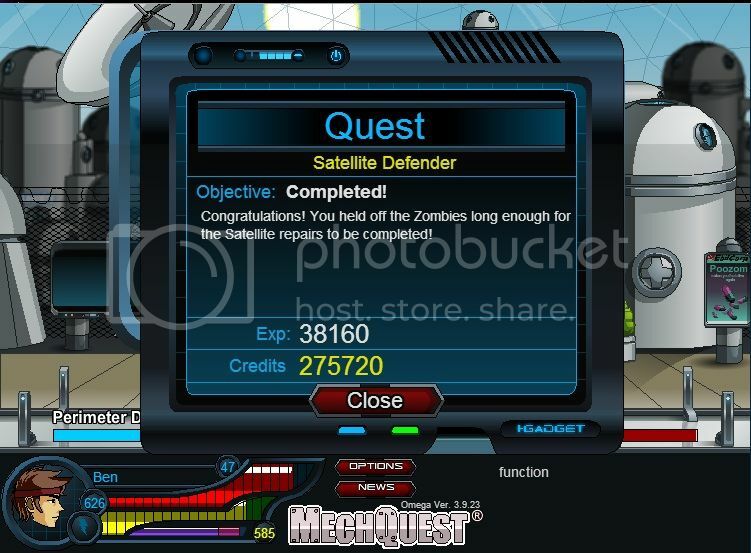 ACC: Have been playing Mechquest for about a month now after coming back to it (was previously on like a year hiatus)! ACC: Reached level 50 in a week. ACC: Got the new O.ops weapon. I am a dominant and I will crush all who stand in my way! DIS: I'm going to take a break from MQ for a while. I'll come frequent the forums sometimes, but that's about it. DIS: Super Mutant Turkey is FLAT OUT IMPOSSIBLE. I cannot even imagine anything among the realms of possible for defeating it. ACC: OH wait... I have Loki and Silly Derp Machine :D.
DIS: now I need one for wolfblade ._. ACC: got to wolf blade house thanks to that bug being squashed (thank you for Maegwyn).